I have said it before, if you are going to use rewards, you have to get it right. Whilst there are arguments about the value and / or damage of rewards in gamified systems, they are still being used and I feel they are of value. One of the keys to getting the use of rewards right, is understanding their value to the user relative to the actions or activities you want them to undertake. You have to consider the effort it will take. Effort here is: skill, time, physical effort, mental effort etc. For example, if you offer a user an iPad for posting a single two line comment on your blog, you are setting the reward far too high for the relative effort expected of the user. If you offered an iPad to the person who finds the most bugs in your system, knowing that they will have to spend hours of their own time doing it, that is a better match of reward against relative effort. If you are using rewards as incentives to perform low effort tasks, make sure that they are of low value. Points that they can collect to trade for goods for instance. The individual rewards are low value, but continued actions can lead to more valuable rewards for the user. This is how loyalty schemes tend to work. 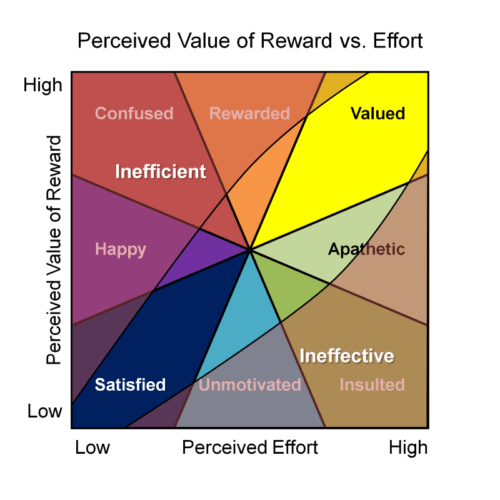 The graph above shows a summary of how you can view the value of rewards against effort and more importantly, if they are effective or efficient. A large reward for a low effort task, might well work, but it is not an efficient way to do things. On the flip side, ask for high effort for low reward and it becomes ineffective – even insulting. Another interesting wrinkle here is the effect of rewards on totally intrinsic tasks – especially tasks that require altruism or kindness. If someone is doing something out of the kindness of their heart, with no expectation of reward – giving them a high value reward, even as a surprise, can be insulting. It undermines the original altruistic intention. This is definitely where you look at either giving nothing, or low value tokens of appreciation (pens, mugs with logos on, silly gifts). You may have notices, there is more than a little here that looks like Flow. The reward needs to increase relative to the effort needed to complete the task. 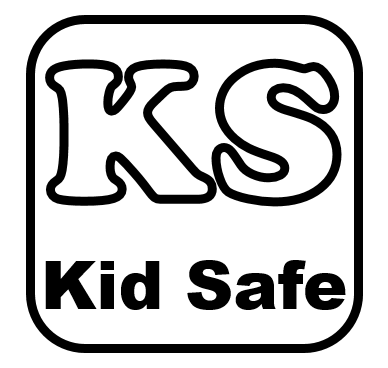 There are “sweet spots” and there are “danger areas”. To complete the Flow comparisons, I wanted to break down the chart into segments as in the original inspiration. After a bit of work and a very good chat with Roman Rackwitz – I offer this. Rewarded: I got generously rewarded for a decent amount of effort. Confused: I got way more than I expected for very little work, not sure why? Happy: A decent reward for not too much work, thanks. Satisfied: I didn’t have to do much, so I am satisfied with a small token. Unmotivated: The reward really doesn’t motivate me to exert the needed effort, but I will at a push. Insulted: You must be joking right? You want me to do all that for so little reward? Jog on! Apathetic: It’s a lot of effort, the reward is okay. Fine I’ll do it, but don’t expect much. Valued: I had to work hard and it was a challenge, but the reward was well worth it. Thanks. The first thing that may jump out is that keeping people happy is just about giving a decent reward for low effort tasks. However, if you go back to the original graph, you will see that this is an inefficient use of rewards. So getting the use of rewards right is tough. You have to make sure that the perceived value is relative to the perceived effort needed to achieve the task and keep in mind out efficient the use of the reward is. You also have to keep the word “relative” close to your decisions. For an English-speaking adult, writing a comment or a review in English is a low to medium effort task. For a non-English speaker, this would be a high effort task. With the reward, an iPad may not be a massive reward for a reasonably affluent country, but for less affluent countries, its relative value is very high. So in the affluent country you would have a medium effort task against a medium value reward. In the less affluent country it would be seen as medium effort task with a high value reward. This is very important as getting this wrong can cause unforeseen issues in a gamified system. I have seen entire systems ruined because the reward was too valuable for some to see a reason to “play fair” in order to earn it. I appreciate the fact that you posted this view on reward systems. Reward systems are difficult to apply in an effective way and the way you presented it made it easy to understand and follow your line of thought. Thanks for shedding some light on this topic. Love the way you left out the words in the main image, it made me wonder what the rest of the article will entail. The way you used the imagery and graphs is fascinating and it supports your facts accordingly. By combining your two graphs at the end you give a twist to rewards vs effort I haven’t seen as of yet. The article definitely captured my attention and I enjoyed your take on the subject. You explain each category in as few words as possible and that strengthens the message you convey to the readers. You make the topic of gamification even more interesting than it is already. Your effort is thoroughly appreciated. Thank you. This is a topic I approached in an article about delayed gratification. Thing is, my view evolves over time!